The RightHand Robotics ReFlex hand. This week at ICRA in Hong Kong, RightHand Robotics is announcing their new ReFlex hand. Built on over a decade of research in the Harvard Biorobotics Lab and the Yale Grab Lab, it leverages the best insights the team gained from the DARPA Autonomous Robotic Manipulation (ARM) program. 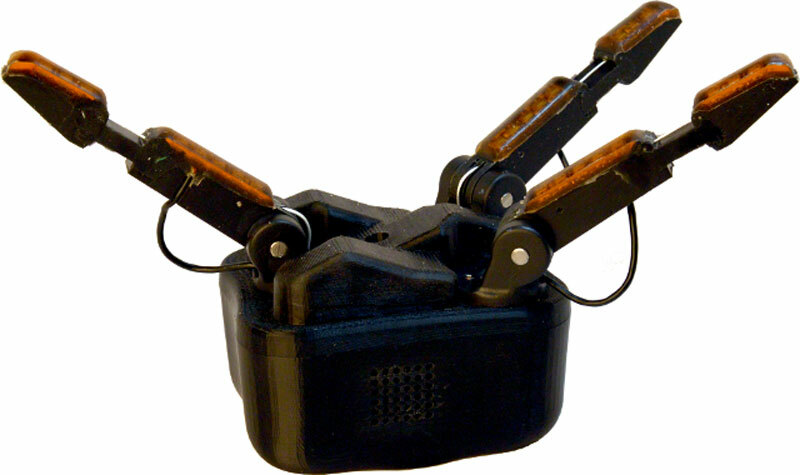 The hand provides three mechanically intelligent underactuated fingers, highly sensitive tactile feedback, a solid electrical interface designed by OSRF, and (naturally) a ROS API!